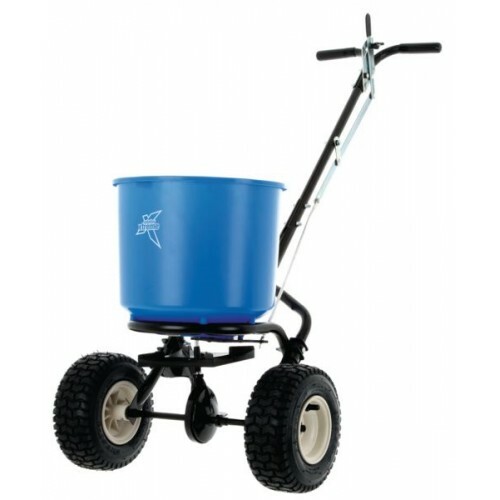 Our most popular spreader due to its ease of use and durability. • Incorporates a 3-hole drop shut-off system to ensure an even and balanced spread pattern. • 3m typical spread width. to be used on rough terrain. • Steel “T” bar handle with epoxy powder-coated chassis.